Moore’s Law states the number of transistors in a dense integrated circuit doubles about every two years. While the concept is a familiar one to those working in the semiconductor industry, it can also be applied to those who practice actual law. Things are changing rapidly in the legal sector! 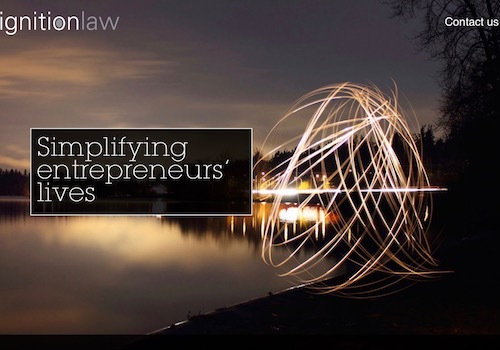 So much so that the way legal professionals manage their businesses today will be radically different in the years to come, thanks in large part to these 15 Tech-based Legal Disruptors Changing the Field of Law. If you’ve been in the field of law over the last one or two decades, you’ve probably seen this first-hand yourself. Before launching into these, a word of explanation: several of these “disruptors” may cross over in the types of underlying technology they use — namely artificial intelligence. Legal apps and services will continue to harness AI to make more granular, and useful, changes to the practicing legal professional. The first “chatterbot” program, Above the Law notes, was developed in 1964, but the tech did not break into the legal world until 2015’s UK-based DoNotPay app — a chatbot designed to help people fight parking tickets. And help it did! The Guardian reported in June 2016 that in just one year’s operating time, the app had overturned 160,000 parking tickets. Since that time, several others have arisen to help lawyers with everything from client intake to contracts and forms. Famous lawyer-centric bots include LawBot, Docubot, and LawDroid. 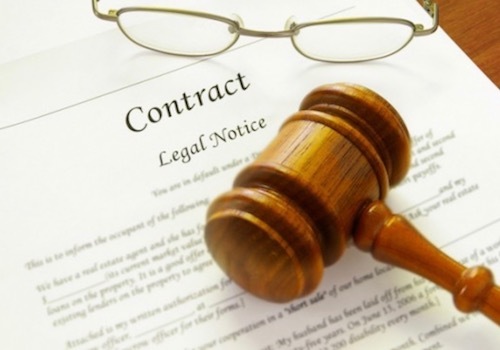 LawBot can analyze complex legal contracts in under two minutes. Docubot merges the chatbot experience with on-demand video chat so users can talk to a flesh-and-blood attorney when they need one. LawDroid is specific to California businesses currently. It allows users to incorporate their businesses with the state via smartphone. All can save attorneys and those in need of their services time, frustration, and money. DoNotPay was the first automated ticket fighter, but it certainly wasn’t the last. One of the most famous is Off the Record, which, according to GeekWire, boasted a 97% success rate as of May 2016. Launched as an app on iOS, it took the creation of two Amazon employees and their Microsoft-employed partner 30 minutes to land their first user. The service allows users to provide a photo of their parking ticket as well as information like court of jurisdiction and one $250 payment. OTR then assigns the case to an attorney with an “established winning record.” For those of you wondering, “$250? Isn’t that the cost of the ticket in a lot of cases?” Nope. 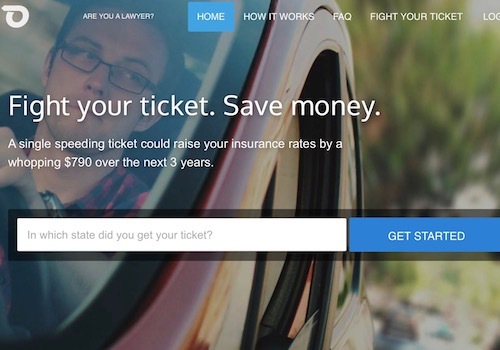 As OTR notes on their website, a ticket on the record can raise insurance rates by as much as $790 over the next 3 years. Add that to a hypothetical cost of $250 for the ticket itself, and a person who just pays the ticket could be out more than $1,000 by the time all is said and done. These technology disruptors allow the customer to save a significant sum of money while granting attorneys easy business. Carbon Law Partners and Ignition Law can be described in simple terms as “virtual law agencies.” London-based Carbon Law fits the bill because it acts as a business service provider to self-employed attorneys. Among the different provisions are billing and collections with Carbon taking a small percentage of each transaction. Attorneys own limited companies unto themselves. Ignition Law offers real-time transparency on cost as well as some fixed-fee legal advice. It is geared more toward startup businesses and others in the process of scaling. Look for the VLA concept to grow along with the entrepreneurial bug and other facets of the gig economy. 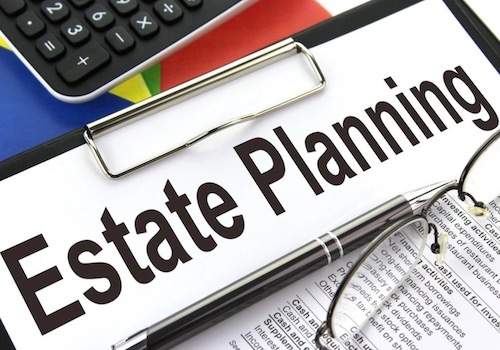 While it is a field that most estate planners are still leery about using, digital estate planning services are making strides to simplify the process and get more people to plan for the unthinkable. The push could be coming in the nick of time as the AARP reports that 60% of Americans alone do not have any legal instrument in place for transferring their wealth after death. Of course, the problem isn’t exclusive to the U.S. as one of the best-known services is UK-based Farewill, which charges a set fee each year with an annual (smaller) subscription cost that allows the user to easily make changes to their estate plan. Stateside, there is DoYourOwnWill. 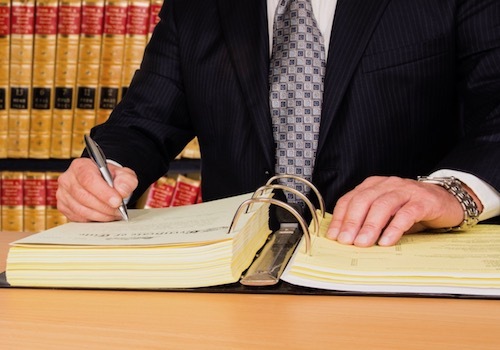 Given the fear most people have of dying intestate, it is likely a do-it-yourselfer would still seek final review from an actual attorney relevant to jurisdiction. At the very least, services like these can shorten the process and cut costs. Expect them to grow as awareness toward poor estate planning practices starts to build. Clearly, artificial intelligence is playing a large role among the many specific tech-based legal disruptors out there (and the ones to come), and trademark research is no exception. 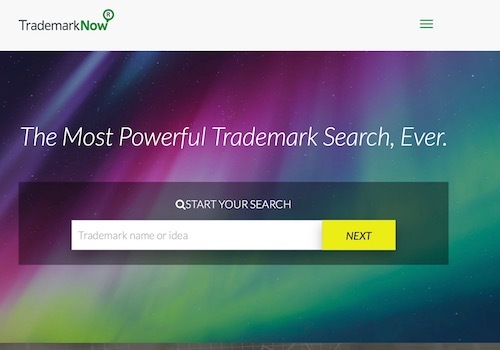 The TrademarkNow online tool uses AI to hunt for similarities and anomalies in the more than 5 million trademark applications that are filed each year. The idea that an applicant can conduct a manual accurate search when it’s not exactly easy for those of you with legal training, is wishful thinking. Resources like TrademarkNow are tremendous time and money savers while enhancing the accuracy of a trademark search and analysis. The fact business has tripled for the company since its inception in 2012 is a good indicator of its present and future usefulness to the legal profession and to entrepreneurs. Marcaria is another large player in this space. It specializes in the global registration and protection of trademarks and domain names, and has a presence in around 220 countries and territories across all five continents. 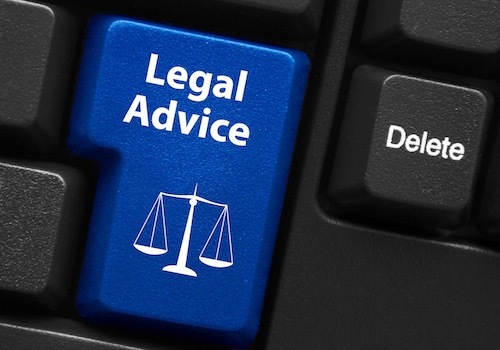 Online firms like F-LEX and Digital Paralegal Services are connecting attorneys with support staff to handle things like document review, specific discovery, and litigation case management. Utilizing one of these types of services will make greater financial sense as the remote staff market matures. Attorneys will spend less of their time and money on the employment-related headaches that come with on-boarding staff. They will trust the vetting process to the well-oiled machinery of an experienced online firm and simultaneously increase productivity by having a team of e-paralegals to rely on instead of one overworked 9-to-5-er. The Internet has made starting a business easier than ever before. With it comes more competition and transparency in pricing. Leave it to attorneys to find a way of adjusting to stay relevant (and well-paid). 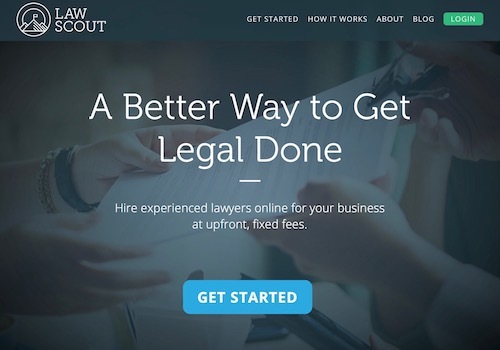 Understanding the phenomenon of the lean startup, attorney collections are cropping up through sites like LawScout.ca and the UK-based lexoo.co.uk with the specific purpose of giving business owners fixed-fee upfront pricing for the services they will need. How does the business know what they will need? Enter Artificial Intelligence. More and more legal service apps and websites are employing AI to make their platforms more intuitive for the end user. The business owner answers questions. Those answers in turn direct them to the proper attorney and suite of services. Spiffy, eh? 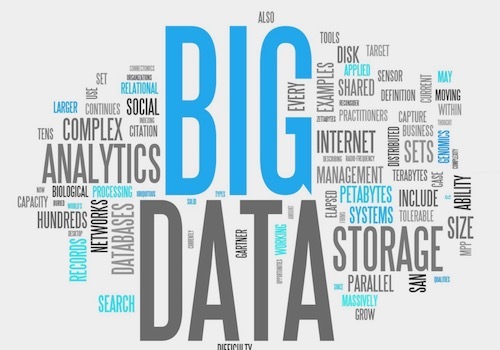 Analytics play a major role in every sector, and the legal world is no exception. Companies like Ravel Law are leading the charge with strategic partnerships. Ravel’s ties to Harvard Law School allow it to strategically search the full realm of United States caselaw utilizing a proprietary suite of search and visualization tools “hidden” from traditional ones. Ravel also gives firms the ability to search by judge and dig deeper into caselaw and legal texts for relevant, intuitive insights not even Google can provide. Litigation Analytics by Bloomberg joins Ravel as a major player in this realm. It “enables users to search millions of legal data points by Company, Law Firm, or Judge to better advise clients, predict possible outcomes, and inform their litigation strategy.” It also includes charts and graphs to better visualize trends. Legal Services Corporation, or “America’s Partner for Equal Justice” as its slogan says, is a 501(c)(3) established in 1974. Despite the 40+ years of existence, technology has allowed LSC to accelerate its offerings, and that will only continue with greater social justice awareness brought on by numerous controversies in the justice system in recent years and racial disparity in inmate populations. 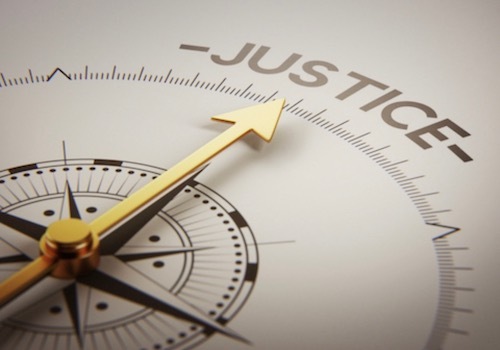 A2J, or “access to justice,” can deal with both civil and criminal matters. LSC is a primarily civil offering that assists with issues like family law, housing/foreclosures, consumer-related, employment income maintenance, disaster response, and low-income military families. As of 2013, approximately 2 million such Americans were aided annually by LSC while 60.6 million are actually eligible for assistance. Outside of LSC, A2JAuthor is an increasingly popular tool among low-income Americans. 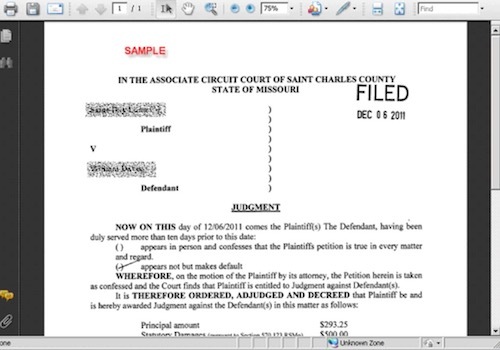 It is a “cloud based software tool that delivers greater access to justice for self-represented litigants by enabling non-technical authors from the courts, clerk’s offices, legal services organizations, and law schools to rapidly build and implement user friendly web-based interfaces for document assembly,” according to the website. 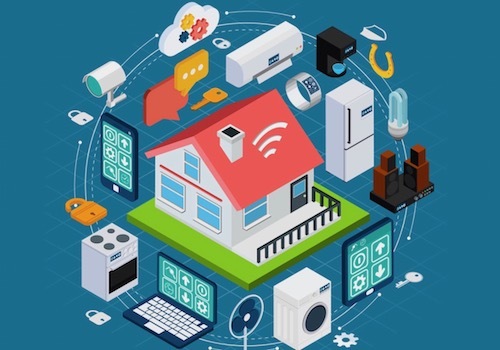 The rapidly growing Internet of Things (IoT) industry will be a major player in the field of law over the next several decades as everyday items “connect” to each aspect of life, storing and protecting ample amounts of data. IoT items, the data they store, and their inherent privacy and security issues will open up a vast new field of law that will change the face of the sector. Just to give an idea of how huge IoT is expected to be, one study reported by Law360 pegged it at $263 billion by 2020. In fact, IoT has already reared its head in the legal system by means of wireless personal assistants. In what appears to be the first instance of its kind, Amazon was forced to hand over Alexa data as evidence in a murder trial. 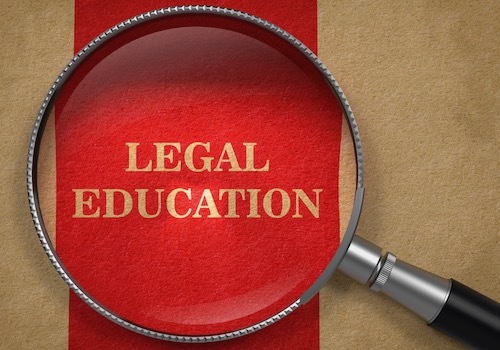 Branching off from the Internet of Things, technology-related continuing legal education (CLE) will be a major factor for attorneys moving forward. Florida has already demonstrated the coming need, approving a measure to raise the minimum number of CLE hours from 30 to 33 in a three-year cycle “to accommodate the new technology requirement,” ABA Journal reports. More states are likely to follow. As everyday items become “smarter” and technology in general continues to develop at the aforementioned Moore’s Law pacing of the last 20 years, tech CLE will be as necessary to legal training as the specialty area itself. Harvard Law School is known to have the most comprehensive collection of U.S. Case Law available, and the aforementioned Ravel Law has spearheaded the movement to make that searchable online. Don’t expect it to end there, though. Local and state jurisdictions are moving all current caselaw online while “working in” archival materials as time permits. This will only continue in the years ahead, allowing legal professionals better access to past rulings. Beyond merely digitizing, however, technologies like Evernote that allow you to search text on images will continue to evolve making those aging documents easier to utilize. Considering that much of the Public Access to Court Electronic Records (PACER) system incorporates aging docs that were uploaded as images rather than searchable PDFs, technology will improve attorney access to existing electronic files as well as what is to come. The global cost of cybercrime is expected to hit $2 trillion by 2019, according to a January 2016 report from Forbes, and that’s just the trend line on reported cases. With tens of millions of records exposed each year, legal professionals will have an added responsibility in guarding against these malicious actors in the years to come if they are to be seen as professionals that take attorney-client privilege seriously. 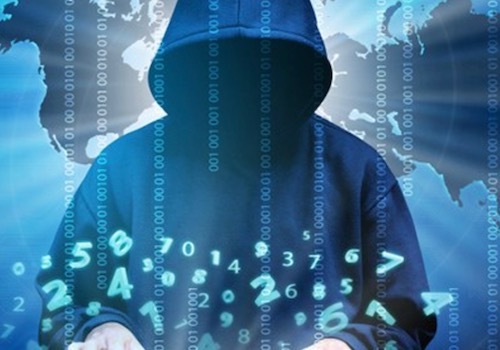 Legal practices that are not yet investing in high-end cybercrime protection and prevention are putting themselves and their clients at risk. Considering that 50% of small and midsize businesses have reported at least one attack in the last 12 months, you are a likely target. And legal professionals are even more attractive targets to hackers than everyday businesses because they often have access to the most highly sensitive of information. Legal contracts are more open to automation through software services than at any other time in their history. Contract Express is one of the operators in this space. It generates whole documents from automated templates, thus taking much of the thought energy and prep work out of the equation for attorneys and their staffs. A large push of modern tech — externally and the legal profession — is augmenting the day-to-day duties so key priorities can receive the most attention. Nowhere has this been truer than the legal profession as evidenced by the nature of the work and these jaw-dropping stats from Apttus. Specifically: 39 percent of legal departments rely on non-lawyers to manage contracts; 65 percent of legal professionals identified lost time on administrative tasks as their biggest pain point; and 40 percent have a legal contract management tool. Sites like Avvo and Reddit, while by no means replacements for the real thing, have and will continue to play a role in how people get their legal advice. These are areas where one must proceed with caution because it is not always easy to confirm who is on the other end of those helpful messages and whether their advice is accurate. 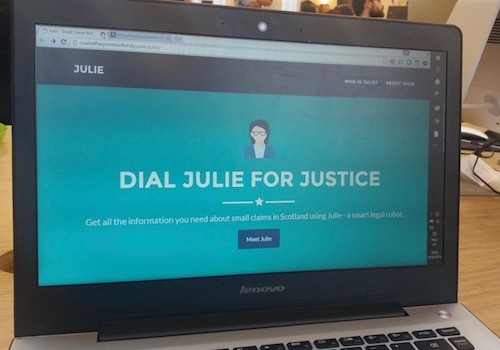 However, the sites are to a large degree self-policing and can be great open source resources for legal advice, resulting in more (and sometimes less) informed clients before they step through your office door. Regardless of the quality of advice, clients will continue to utilize these resources before, during, and after they contract for your services just as they are more apt to Google up a self-diagnosis before visiting the doctor. Translation: expect at the very least more “informed” clients. There you have it, readers…the top tech-related legal disrupters for the road ahead as we see it here at The Reeves Law Group. Which ones do you think will have the biggest impact? Sound off in the comments section below.